It is no secret, I enjoy wine. One of my favorite things to do in the evening is curl up on my couch with a glass of wine and and the latest book I am reading. One evening, I thought about how food and wine are paired together and wondered if this is something that could be done with books. I did a little research and looked at three types of wine; red, white, and sparkling, and found adjectives that described each type of wine. I then reviewed my book list and match books that I felt could be described with those same adjectives. Below is the list I came up with and wanted to share with our readers. I would love to hear what wine you feel you pairs with your favorite book. 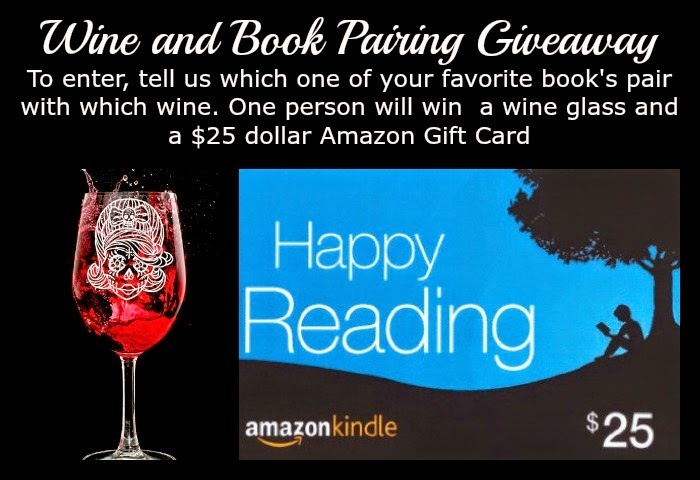 Comment below and you will be entered to win a wine glass and a $25 Amazon Card. Ok Marie - what book would you drink with your Corona? I will have to add that to my List Paula! So what book would you recommend to drink with the Dew? My recent most Favorite #Hater by Cambria Hebert!! Definitely! I like cheap wine to go with my smutty books. ;) Tonight I'll be drinking Barefoot Pink Moscato while I read The Prince. I'm reading Rival by Penelope Douglas right now and drinking Catawba from a local winery. 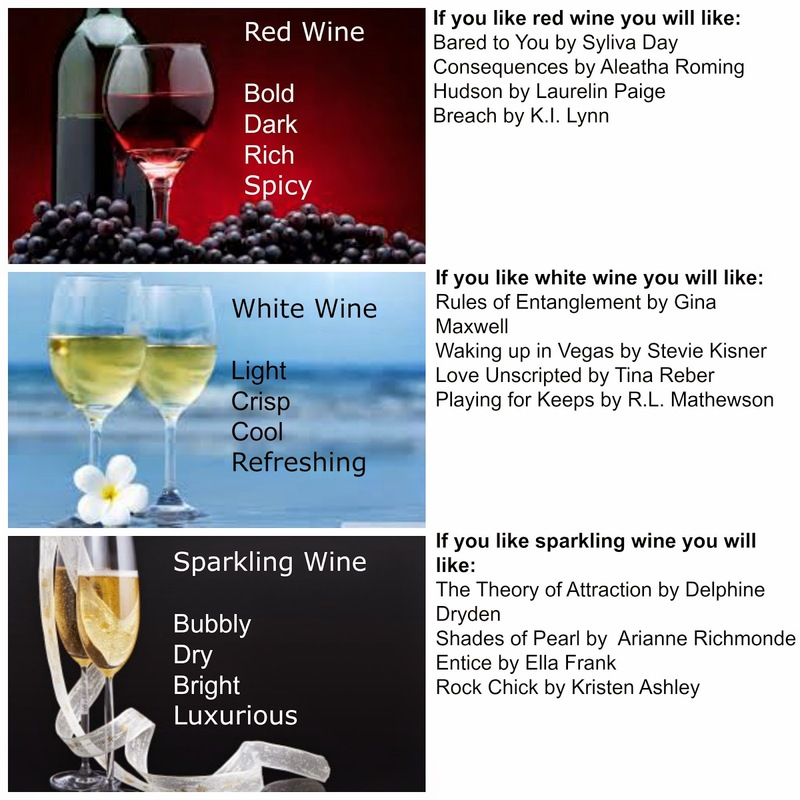 I love red wine, my recent favorite is Riunite Lambrusco and would pair it with Black Lies by Alessandra Torre! Thanks so much for the giveaway!! 50 Shades and a glass of Reisling!